Need trees removed? Come to the best around: My Backyard Landscape Enhancements. You can hire us with confidence for your tree removal project, as we are Certified Tree Workers and Certified Arborists. Plus, we are proud members of Illinois Green Industry Association, TCIA and the BBB. Our team focuses on safety, quality, knowledge and dependability. Trees are our passion and it shows! 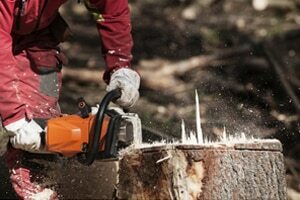 For safety and efficiency, turn to My Backyard Landscape Enhancements as the tree removal service Pekin IL appreciates. Here at My Backyard, we are committed to tree health, your home’s safety and the latest tree care practices. Do you have too many trees on your property? Are they dead or infested with insects? Do you need to make way for an addition or construction project? You need a professional with attention to detail to handle a job of this scope. If you answered yes to any of the above, give us a call for an evaluation. Too many times, we have seen harmful pruning, fertilization and mulching practices that can be detrimental or deadly to a tree. 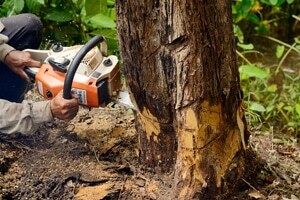 Hire experienced technicians or risk damage to your trees and surrounding property. To learn more about our tree removal service in Pekin IL, please contact us at 309-657-0571. We serve all of Peoria, East Peoria, Peoria Heights, Chillicothe, Dunlap and surrounding areas.